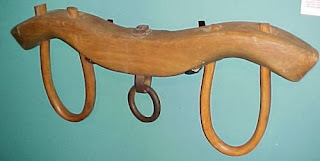 Yokes are used to link oxen together so that they, with less individual effort, can do the work of plowing fields. Jesus' yoke is like a partnership with someone stronger. Every burden becomes lighter for you because He is carrying the greater weight and pulling more of the load. To "rest" means to "use the power of another." When you take His yoke upon you and begin the work of plowing your fields of life, you will notice that this yoke, unlike any other kind of yoke, is easy. You will also notice that this burden, unlike any other burden, is light. When you ask yourself, “Why is this yoke easy and this burden light?” Look over to your side, and you will see Jesus in the same yoke with you and bearing the same burden with you! Only when yoked with Jesus will you find rest for your soul – which is your mind, will and emotions. Nothing short of receiving Jesus as Savior and Lord, and learning of Him, will make a difference. S~Salvation by grace through faith and not of yourselves. Receive the gift of God. T~Testify of the goodness of God. Confess Jesus as your Lord and Savior.